Make the cutest little creatures from wool! 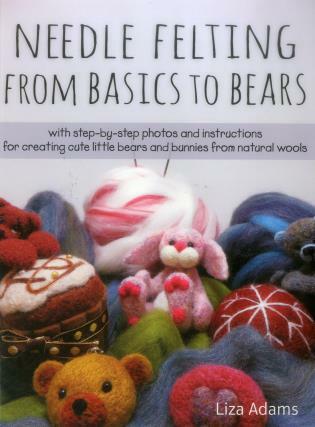 Needle felting is all the rage, and this book shows you how to create tiny bears, rabbits, dogs, cats, fairies, dolls, cupcakes, and more. Liza Adams takes a project-based approach to teaching the skills you will need to begin your journey in the art of sculpting with wool. You will create something meaningful from your very first project, and learn from additional projects all you need to know to needle felt whatever takes your fancy. Liza is the owner of Little Handfuls Mini Bears and can be found on facebook.com/LittleHandfuls or at www.mylittlehandfuls.com.